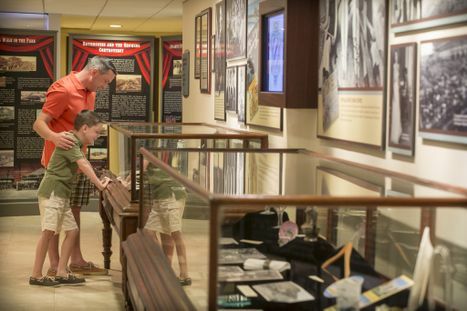 Hotel Galvez & Spa®, A Wyndham Grand® Hotel, is requesting one-of-a-kind items related to the historic hotel, as well as items from Old Galveston Club, to display in the its popular Hall of History. The hotel’s current bar was originally part of the Old Galveston Club, formerly located at 2019 Market, and was touted as Galveston’s last speakeasy. The Hall of History was created from an initial collaboration between Galveston County Museum and Hotel Galvez & Spa in honor of hotel’s centennial in 2011. 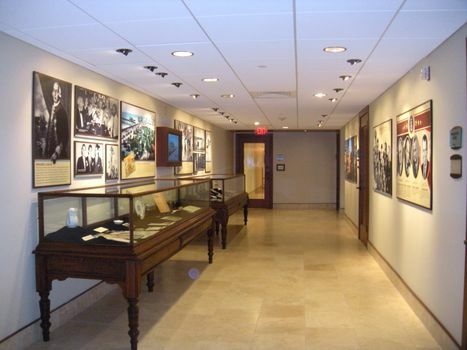 The exhibit was unveiled in January 2011 as part of the hotel’s centennial celebration and is now a permanent display located in the lower level of the hotel. Those interested in donating items should contact Christine Hopkins, director of communications, by phone or email at (409) 515-2058 or chopkins@wyndham.com. Items should be dropped off to Tracy Proctor at the Administrative Offices, located in the lower level of the hotel, during regular business hours. Hotel Galvez & Spa will commemorate its 105th Anniversary on Friday, June 10. The hotel will also host its annual Wedding Vow Renewal on Saturday, June 11. Hotel Galvez invites the public to celebrate its 105th Anniversary with complimentary cake in the lobby from 4 to 6 p.m. and guided history tours of the hotel at 3 p.m. and 5 p.m. Galvez Bar & Grill will offer a discount on Ghost Bride cocktail, created in honor of the hotel’s most well-known ghost. The anniversary celebration leads into the hotel’s annual Wedding Vow Renewal on Saturday. Couples are invited to renew their commitment to each other during a group ceremony scheduled at 10 a.m. on hotel grounds and officiated by Justice of the Peace Jim Schweitzer. Following the ceremony, a small reception is hosted by the hotel. Couples have the option to book the Wedding Vow Renewal Package or join in the ceremony at no cost. Advance reservations are required.